Visual Studio.NET 2008 makes it very easy for us to create LINQ to SQL Entities using the Object Relational Designer. What it does is creates classes and methods that relate to the database columns and tables. This makes it possible for us to communicate with the data using LINQ (Language Integrated Query). For this example, we will be using a SQL 2008 database with one table and three columns – id, name, and city. It is advised to always include the table name in the class, although it is not really required if the class is named the same as the table in the SQL database. Register the ASP.NET hosting plan with the latest SQL Server 2008 hosting from SeekDotNet.com and receive reliable supports on the web hosting plan. SQL Server 2008 also includes an assortment of add-on services. While these are not essential for the operation of the database system, these provide value added services on top of the core database management system. These services either run as a part of some SQL Server component or out-of-process as Windows Service and presents their own API to control and interact with them. Each transaction made to the publisher database (master database) is synced out to subscribers, who update their databases with the transaction. Transactional replication synchronizes databases in near real time. Changes made at both the publisher and subscriber databases are tracked, and periodically the changes are synchronized bi-directionally between the publisher and the subscribers. If the same data has been modified differently in both the publisher and the subscriber databases, synchronization will result in a conflict which has to be resolved – either manually or by using pre-defined policies. Snapshot replication published a copy of the entire database (the then-snapshot of the data) and replicates out to the subscribers. Further changes to the snapshot are not tracked. 1 – Helps developers to maintain low-cost management with a highly scalable infrastructure within the application. 2 – Helps maintain business-ready reliability, security features, and availability for continuity. Ideals for corporates users. 3 – Helps enable developers to quickly build or extend applications to run in the cloud environment. This will certainly increase the efficiency of workforce within the organization. 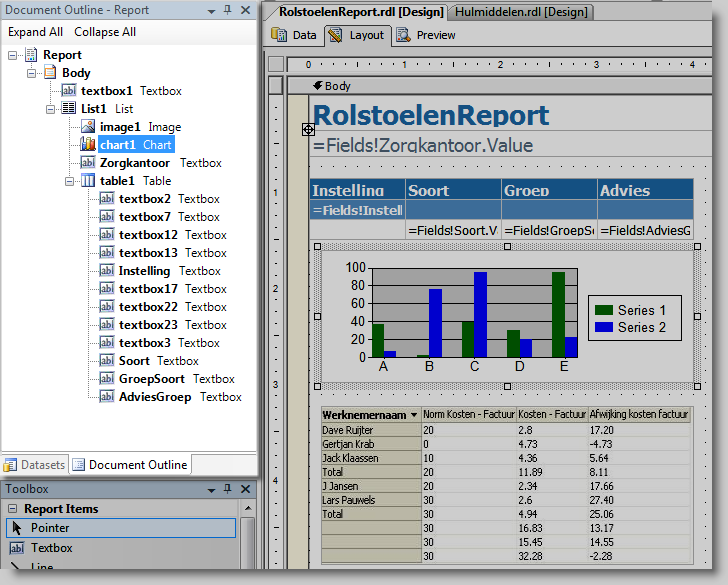 Reports can be designed using recent versions of Microsoft Visual Studio (including Visual Studio.NET 2003 onwards) with Business Intelligence Development Studio, installed or with the included Report Builder. Once created, RDL files can be rendered in a variety of formats such as Excel, PDF, CSV, XML, TIFF (and other image formats), and HTML Web Archive. To gain all the advantages as stated above with the SQL Server 2008, we need to ensure that our application has been fully tested and deploy into a SQL Server 2008 hosting compatible environment. SQL Server 2008 – How the New MS SQL Server 2008 Improve Business Intelligence? As far as we know, there are a lot of improvements since the latest release of SQL Server 2008 database. If we putting a side of the technical aspect of SQL 2008, let us see how it can brings to the improvement of the daily business routines. SQL Server 2008 has been improved with Business Intelligence platform optimized for data integration, reporting, and analysis, users will be able to get more control in the company data management. 1 – By using SQL Server 2008 Integration Services, we can now manage the company data warehouse more easily and faster by consolidate real-time data with real time data changes. 2 – Increase the manageability and performance of large tables with partitioning / grouping the data. 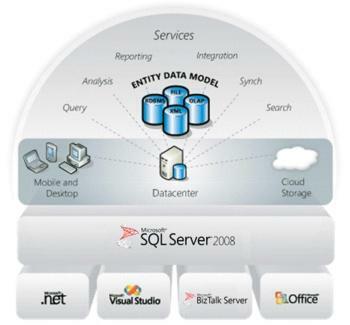 3 – Data reporting made easy with SQL Server 2008 which allow the integration of multiple set of data into a single report. Allow users easily to read and understand. 4 – Work with all of your data and interact the way you want through support for both relational and non-relational data. 5 – Effectively consolidates data from heterogeneous, enterprise-wide data stores, such as SQL Server, Oracle, DB2, SAP and Teradata. 1 – Incorporate rich formatting in reports to increase usability and enable business users to build ad hoc reports and create reports in any forms they prefer. 2 – Users can now save time and money by leveraging the tight integration between the SQL Server 2008 BI platform and the 2007 Microsoft Office System. 3 – Using the Data Mining Add-Ins to make predictive analysis accessible. 4 – More good news for users is that they publish and manage reports centrally on the Web with Microsoft Office SharePoint Server 2007. 5 – If you have Microsoft Office PerformancePoint Server 2007 to enable employees to monitor, analyze, and plan business activities with the connection with all the staffs in the same organization. Many developers and users have seen the true benefits on SQL Server 2008 by including SQL Server 2008 to their current application or projects. More and more web hosting company are starting to provide SQL 2008 hosting with with the Windows hosting plan. For more information on obtaining SQL Server 2008 hosting plan, you might contact SeekDotNet.com at http://www.seekdotnet.com/contactus.aspx , all the hosting plan are inclusive with MS SQL 2008 database and you are entitled for 3 months free hosting plan if you sign up for a annual plans.